A Midwest snowstorm brought blizzard-like conditions that grounded hundreds of flights and closed major highways. 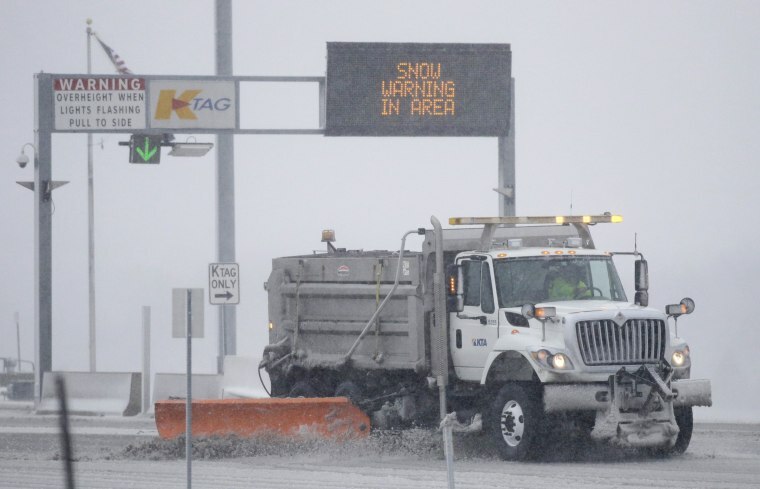 CHICAGO — A winter storm blanketed much of the central Midwest with snow on Sunday at the end of the Thanksgiving weekend, bringing blizzard-like conditions that grounded hundreds of flights and forced the closure of major highways on one of the busiest travel days of the year. With much of the central plains and Great Lakes region under blizzard or winter storms warnings, roughly 600 flights headed to or from the U.S. had been canceled as of 2 p.m. Sunday, according to the flight-tracking website FlightAware. By mid-day, the blizzard warning was extended to parts of the eastern Illinois near Chicago, where snow is forecast to fall at a rate of about 2 inches per hour. Other parts of the central plains and Great Lakes region were under a winter storm warning, that could see a foot or more of snow dumped in some places by the end of the day. I-80 westbound is CLOSED at mile marker 426 (Mahoney) due to multiple crashes. As much as a foot was expected in Chicago. Between 4 to 6 inches of snow was expected in the Kansas City area. Forecasters predict more than a foot of snow is likely in southeast Nebraska, northeast Kansas, northwest Missouri and southwest Iowa.